Converse convention. Gutter Island Garage Rock Festival, Denmark, 2006-08-25. I added the keyword ‘clothing’, because I really want this to be a fashion blog. 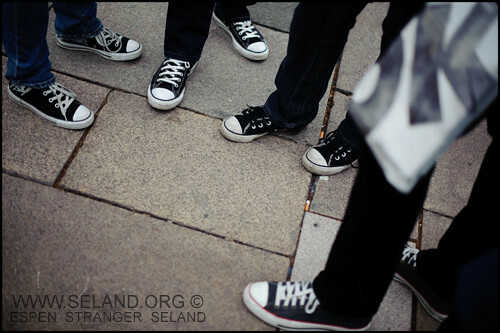 This entry was posted in Photography and tagged clothing, Gutter Island, Musikkfest Oslo, rock on 2009-06-07 by Espen Stranger Seland.